Here we have a cool skater boy with his skateboard. The drawing of this skate scene is really detailed and that all printed on a t-shirt makes it the perfect must have item for any skater or cool kid out there. 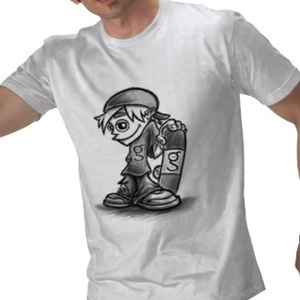 You just have t o check out all the details of this Skater Boy T-Shirt.